Most paper wasps are beneficial in their natural habitat, and are critically important in natural biocontrol. 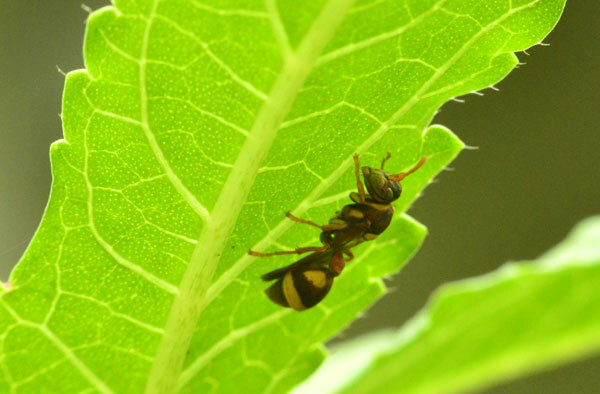 Paper wasps feed on nectar and other insects, including caterpillars, flies, and beetle larvae. They are a known pollinator and feed on known garden pests and they are considered to be beneficial by gardeners. I managed to take a close up of this large paper wasp resting under my okra leaf. I am happy to have them in my garden. They are not only beneficial to my garden , they are beautiful to look at too :) That is to my opinion :) you dont have to agree with me. I love my lil space...everyday is a great day for me..seeing the insects and flowers and edibles makes me happy and that is something moolah cannot buy.